Dig III: Chrono Trigger BS specials, NABA-chan and more! 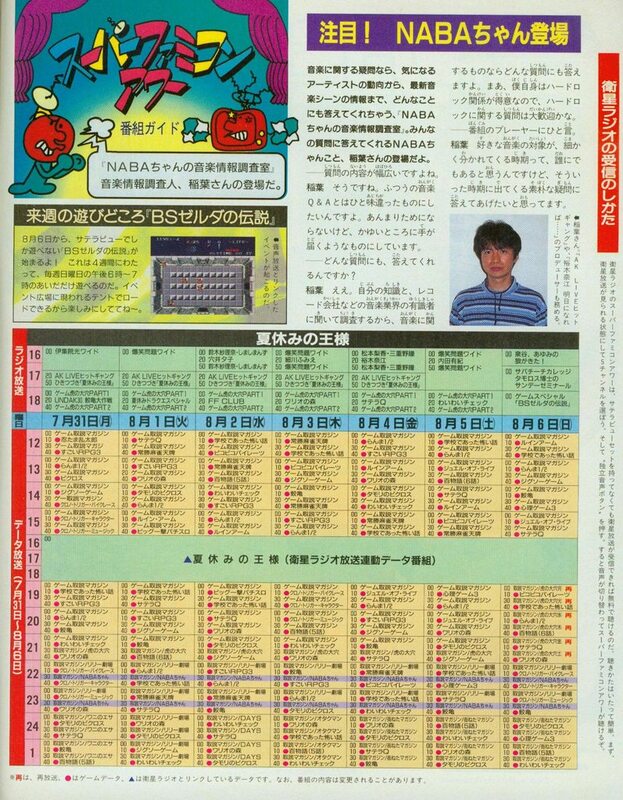 And here we go again, ChronoMoogle is back with some fresh analysis of the new-scanned Famitsu-Satellaview schedules! This time I gonna text dump and comment week 7/31-8/6 of 1995.